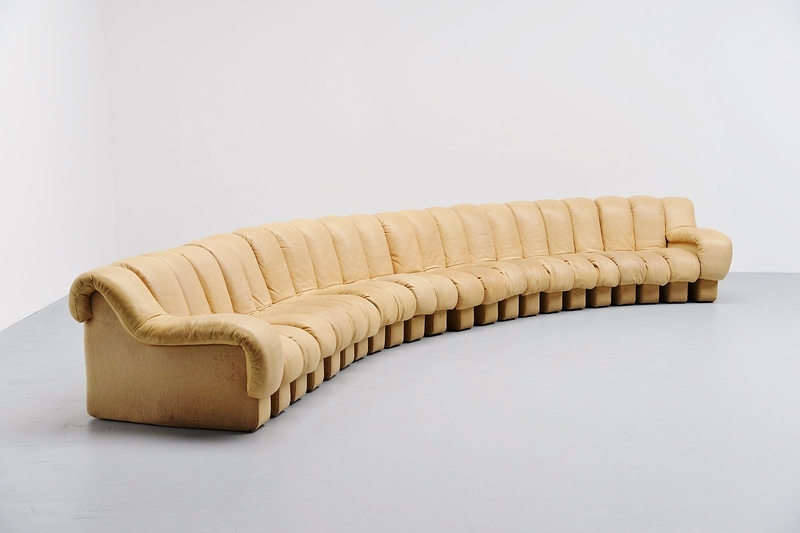 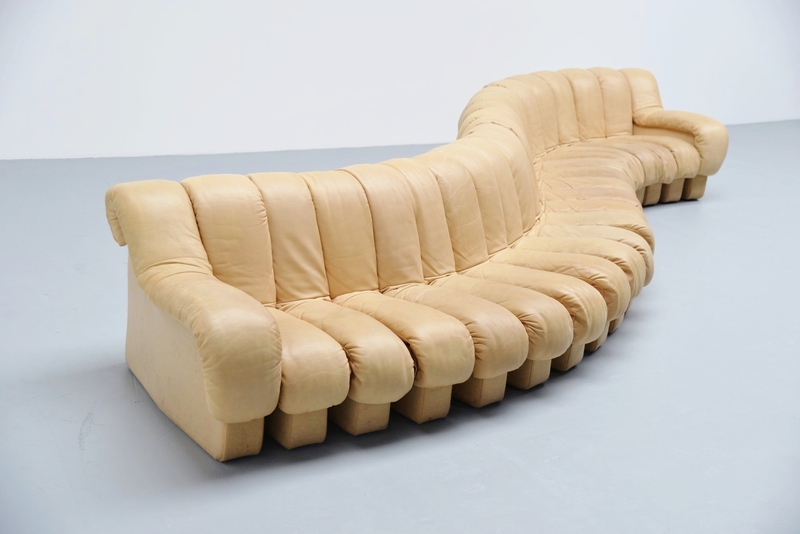 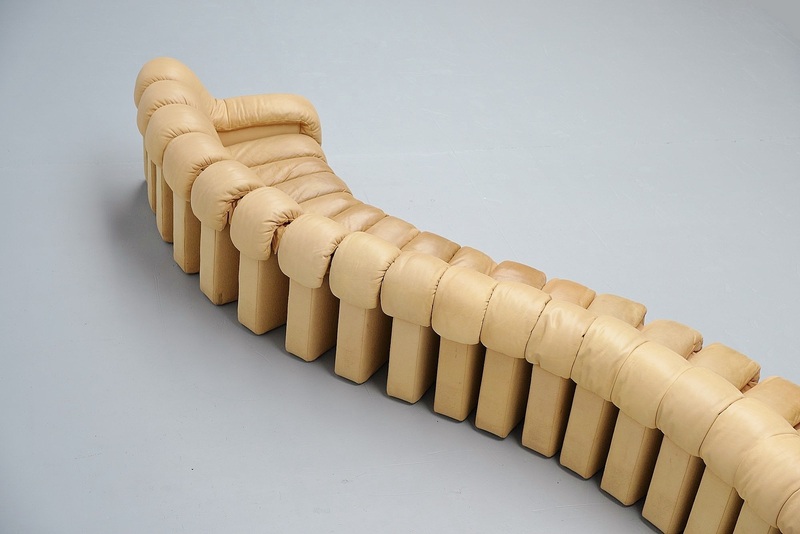 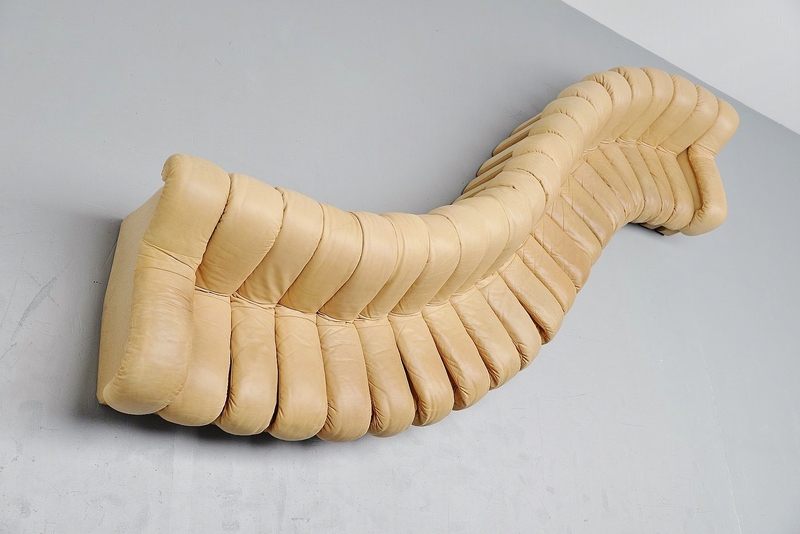 Exceptional design by Ueli Berger , Klaus Vogt , Eleonore Peduzzi-Riva and Heinz Ulrich, manufactured by De Sede, Switzerland 1972. This sofa has unlimited configuration options, maximum functionality and distinctive seating comfort. This makes the DS-600 system created in 1972 an icon. 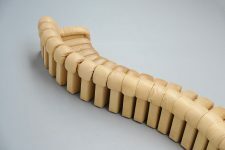 Seating elements with unlimited configuration options: Any number of upholstered segments can be zipped together, allowing free-flowing mobile concepts as well as conventional furniture arrangements. 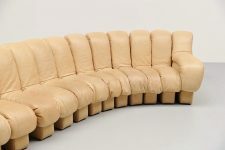 Supportive and down-soft upholstery for legendary de Sede seating comfort. The sofa is in good original condition with nice patina. 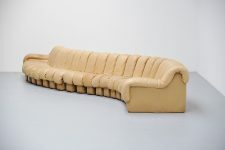 This sofa has a sand color leather which is timeless and in good condition with some patina.